The Center for PostNatural History was founded in 2011 as a mockinstitution, and it is based in a former clothing store in Pittsburgh. 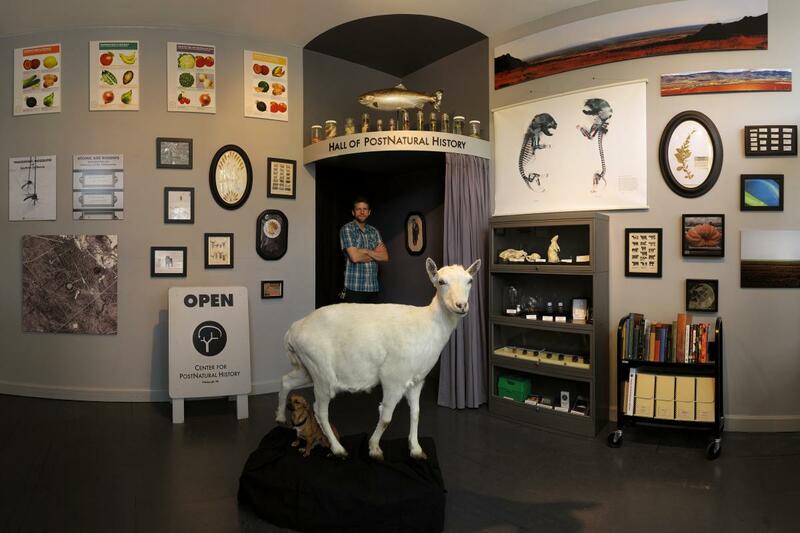 CfPNH is involved in the “collection and display of organisms that have been intentionally and heritably altered by humans through selective breeding and genetic engineering, a phenomenon known as postnaturalism.” The center’s collections include biological concoctions, dioramas, photographs, films, and living animals. CfPNH is led by Richard Pell, an artist and lecturer at Carnegie Mellon University in Pittsburgh and one of the founders of the Institute for Applied Autonomy (an activist group involved in the “technology of protest”). Pell was initially afraid that the center would be pigeonholed as an artistic installation, but it has won wide recognition among scientists and educators operating outside the habitat of art. 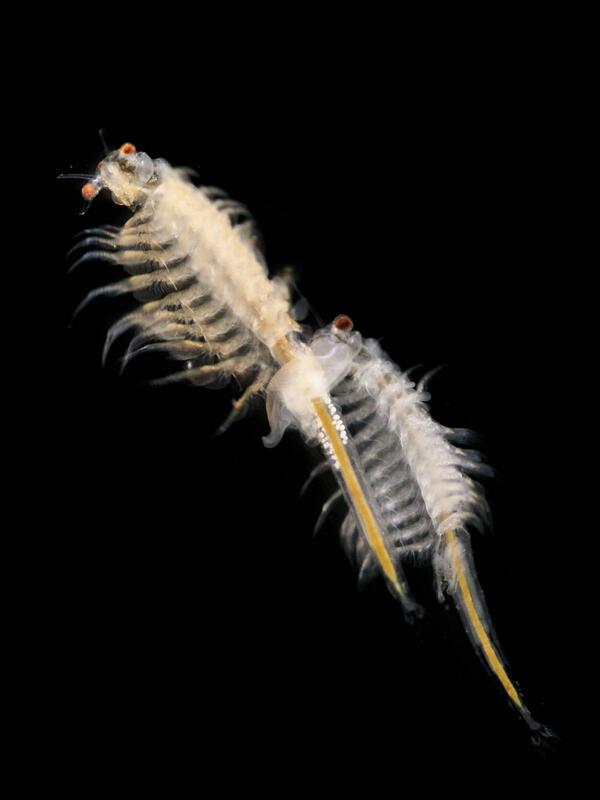 The exhibition includes a selection of publications and museum materials from CfPNH and one of the organisms from the center’s collection: Artemia NYOS, “invented” in 1957 as a cross between several species of crustaceans from the genus Artemia (brine shrimp), sold under the brand name Sea-Monkeys – a dry mix called “instant life” that sprouts crustaceans when water is added. Sea monkeys were advertised in comic books, and the famous ads, illustrated by Joe Orlando, showed humanoids living in saltwater. The report presented in exhibition consists of a selection of merchandise and publications from the Center for PostNatural History, and SeaMonkeys, both procured online by the Museum of Modern Art in Warsaw in January 2016.